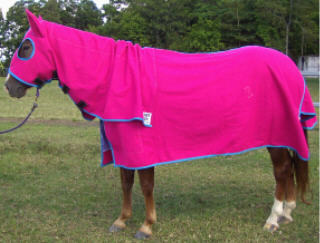 This is our best selling horse rug. 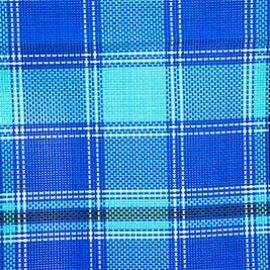 Not only is it a great hard wearing fabric but it is also nice and cool for our Australian hot summers. 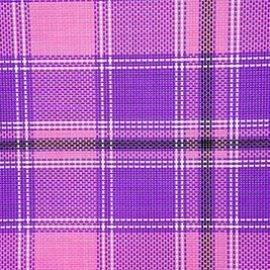 The fabric is a mesh material that is UV protected, great for keeping the insects off the horses coat. 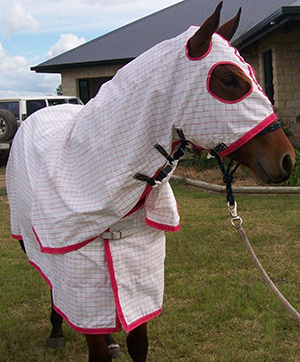 Available in a rug/neck combo, rug/hood combo(polyester face), separates or rug only. 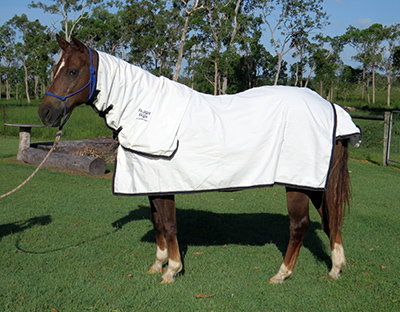 Suitable for everyday paddock wear this is a great rug to keep the horse's coat clean, shiny and insect free. 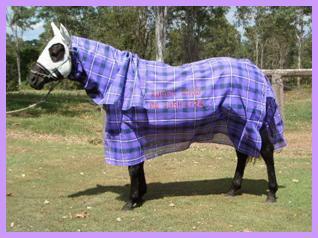 Available in long or regular drop in a rug/neck combo, rug/hood combo, separates or rug only. Suitable for everyday paddock wear with a hint of colour. These rugs have all the same great qualities as the 100% white polyester rugs with the added benefit of a splash of colour. Orange/Turquoise, Pink/Purple, Blue Check and Lime Green/Rose, matching bindings are available to complete the look. Too good to use in the paddock why not purchase one for a show set. 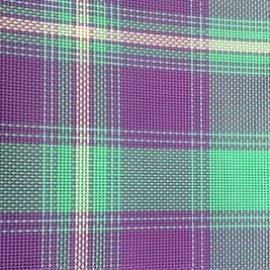 Summer Breeze 65/35% Polyester and Cotton. 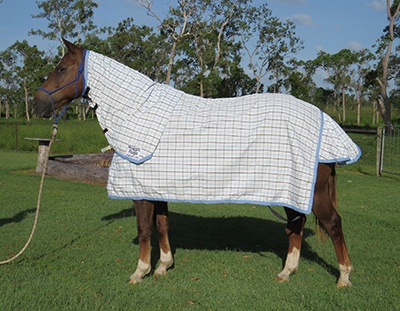 Suitable for everyday paddock wear these rugs are great to keep the horse's coat clean and insect free.The blend of cotton in this fabric makes them a little cooler on the horse's coat than the 100% polyester rugs and also reduces the static effect. 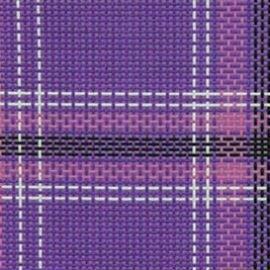 Stand out in the crowd with our Equestrian cotton show sets. 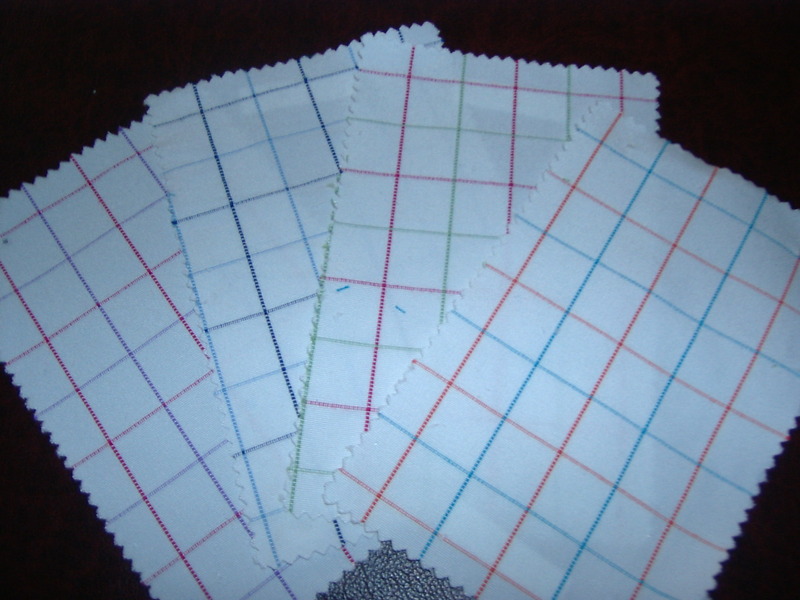 Made using 100% cotton and trimmed with matching bindings. 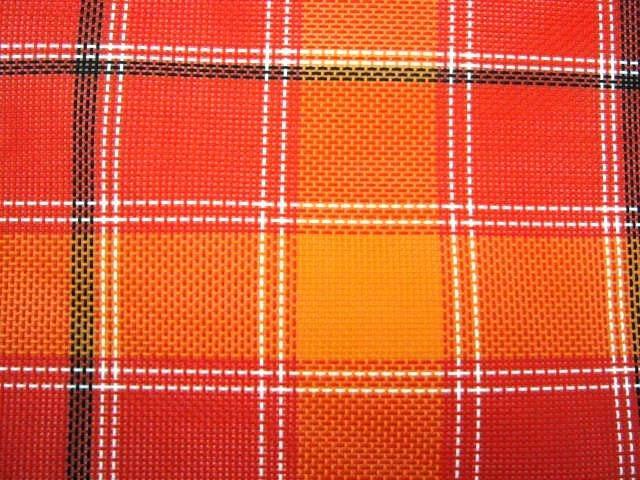 A large range of colours and fabrics are available to suit every one. Set includes Rug, Hood and Tail bag, available in a combo or separates.